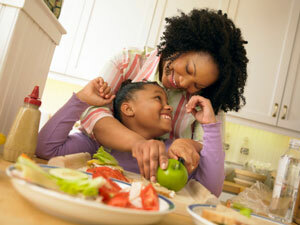 Get rid of the toxic cleaning chemicals and purify your home. 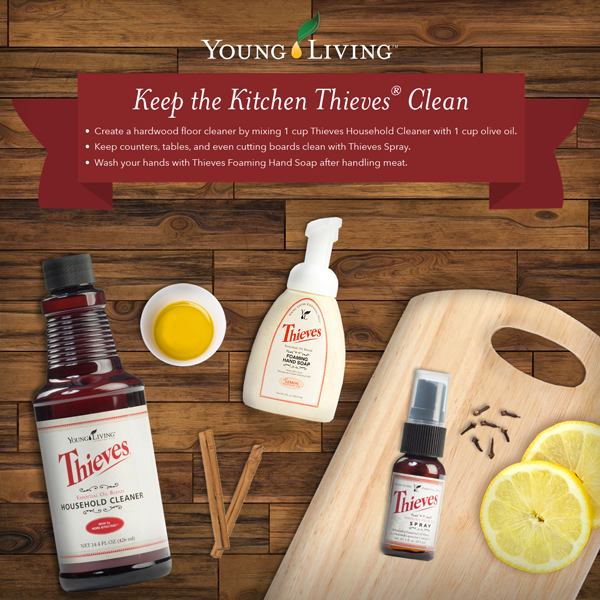 We use the Young Living Essential Oils home care product line called Thieves. Legend has it that during times of plague in Europe the dead would be robbed by individuals who were called thieves. They were successful at their trade and did not perish from the disease as a result of rubbing their own body with a special formula of aromatic oils that contained amongst other essential oils and botanicals, clove and rosemary. The Young Living Essential Oil blend Thieves can be taken internally to help support healthy immune function and since part of the Thieves essential oil blend is Eucalyptus radiata it may help to maintain a healthy respiratory system. Now, when you take that same essential oil blend and use it as a mouthwash or in as a toothpaste, wow! It has an explosive effect on your tongue and buccal membranes that can’t be denied. It leaves your mouth clean and fresh. We use the dish soap and the and the household cleaner, which always keeps our home fresh and clean. Odors are always replaced with the wellness air of Thieves. The hand cleaner is terrific and without the negative effects that the typical commercial hand cleaners are having on our men. If you haven’t heard those hand cleaners that are showing up every where you go are not a good thing as they interfere with the male testosterone hormonal cycle. So that’s the story on the Young Living Essential Oil home care product line. Get some. You can follow this link if you are interested in researching this product line and while you are at it you can determine if you want to order as a retail customer or set up a wholesale account. We’ll talk again real soon.